What better way to celebrate the festive season with all its sentimental and commercial pleasures than with a trip to one’s local saleroom? Fans of the festive season, collectors of Christmas memorabilia and those with a taste for quaint curiosities might find something for themselves at any of a number of upcoming auctions, where items such as a Victorian Christmas card and a Bing Crosby poster are on offer. Several Christmas postcards are featured at Lockdales’ Coin and Collectables auction on November 17-18. This example celebrates the Penny Postage Jubilee of 1890, which marked 50 years since the introduction of the Uniform Penny Post – and the first pre-paid postage stamp, known as Penny Black. Sir Rowland Hill led the reform with his 1840 pamphlet Post Office Reform and is depicted here just above (though smaller than) Queen Victoria. 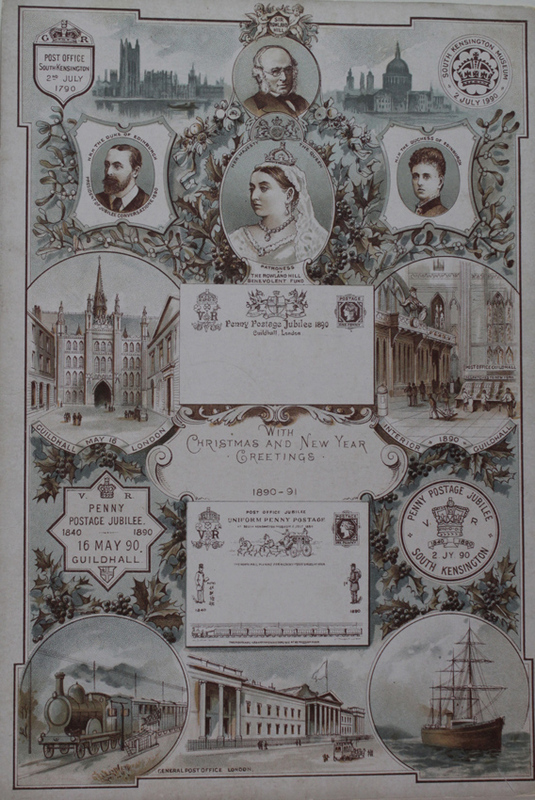 Also shown on the card, which reads With Christmas and New Year Greetings, are the Guildhall, the General Post Office and the Duke and Duchess of Edinburgh. It is estimated at £85-95. A 1958 card from the Duke and Duchess of Windsor to Sir David and Lady Davies is offered at the sale of Commemoratives, Ceramics, Staffordshire Pot Lids and Prattware at Historical and Collectable on November 17. It has an estimate of £60-100. It includes a colour photograph of a salon interior with a postal envelope franked in Paris on December 14. 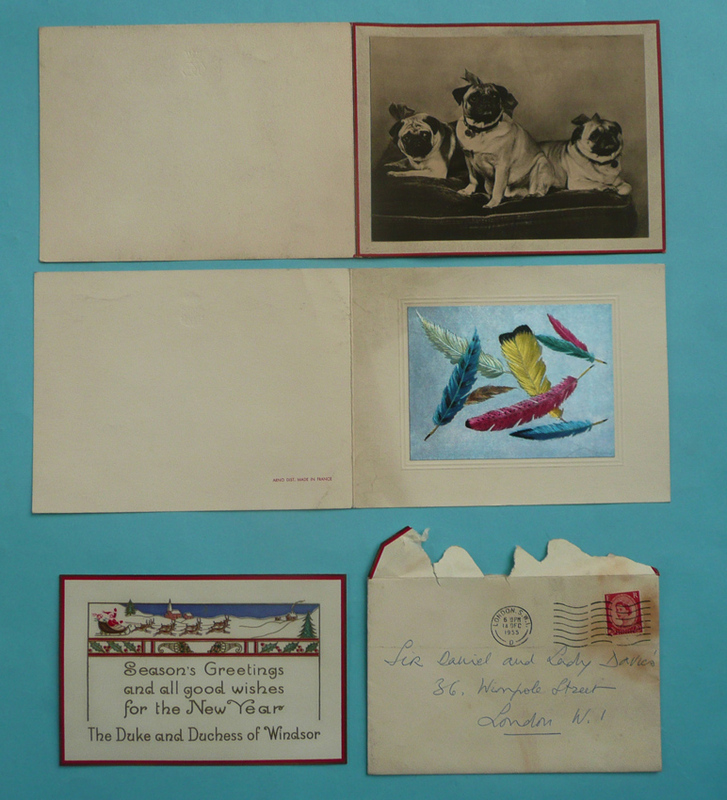 The lot, estimated at £60-100, is offered with two other undated cards each with printed messages and monogrammed. The 1954 US musical comedy White Christmas featured Bing Crosby as a romantic lead and included him singing the title song. 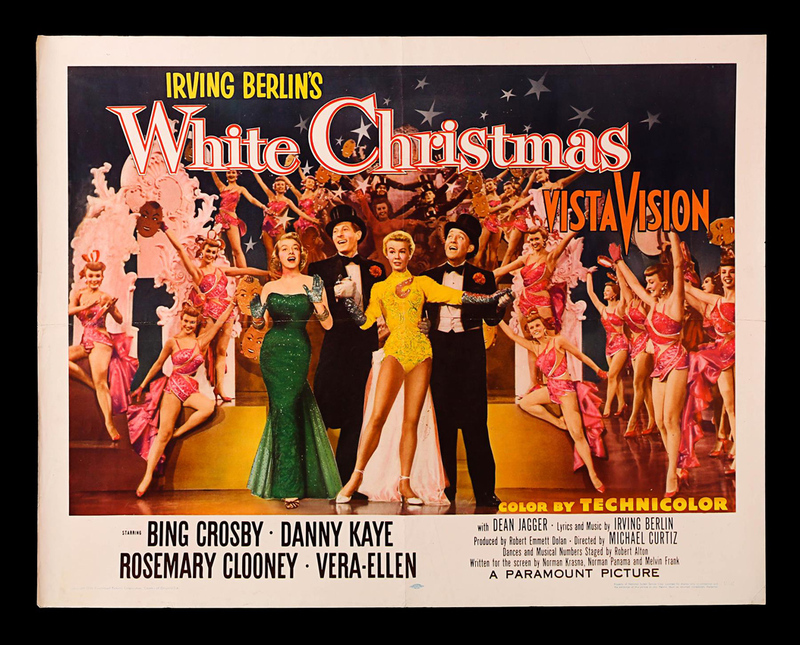 A US half-sheet style-B movie poster for the classic Christmas romp is included in a Prop Store Cinema Poster Live Auction in Rickmansworth on November 20. More sought-after of the two original 1954 half-sheets, it has an estimate of £200-300. 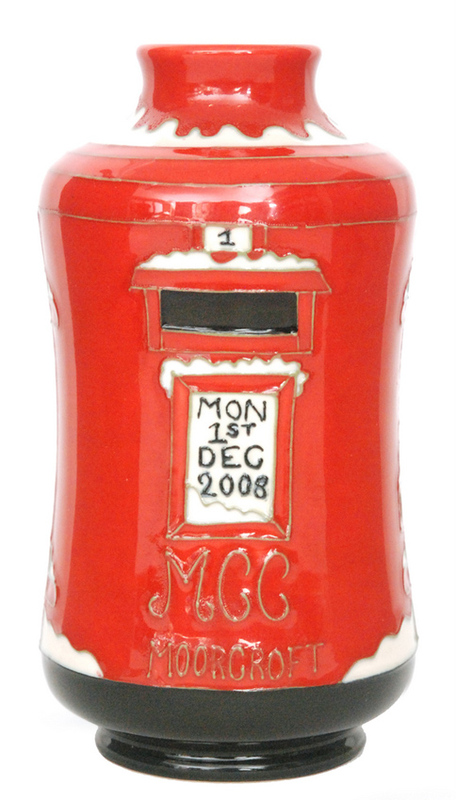 Fieldings Auctioneers offers a Moorcroft Pottery Collectors Club vase modelled as a Christmas post box and tubelined Mon 1st Dec 2008 – the number one at the top represents the first post of the day. Designed by Julie Ann Bowen it has an estimate of £60-80. It is part of the Stourbridge auction house’s monthly sale on November 10 which comprises ceramics, diecast and tin plate toys, glass, furniture and other antiques and collectables. 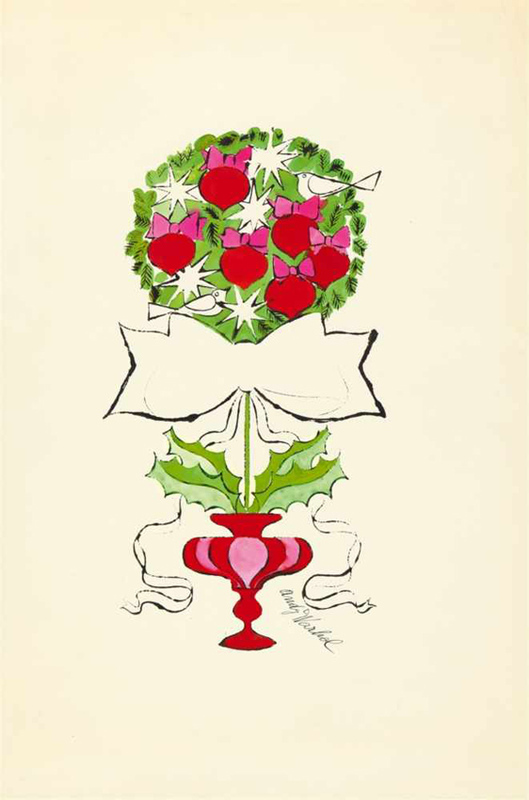 In the 1950s, before he became famous, Andy Warhol produced a number of whimsical drawings and paintings for use on Tiffany’s Christmas cards. An India ink and lithograph on card of a Christmas topiary by Warhol goes under the hammer at Kunsthaus Lempertz on December 1. The card is offered framed underglass and is stamped The Estate of Andy Warhol verso. Featuring a provenance to the Andy Warhol Foundation for the Visual Arts in New York, it has an estimate of €28,000-30,000. This piece is believed to date to c.1957. 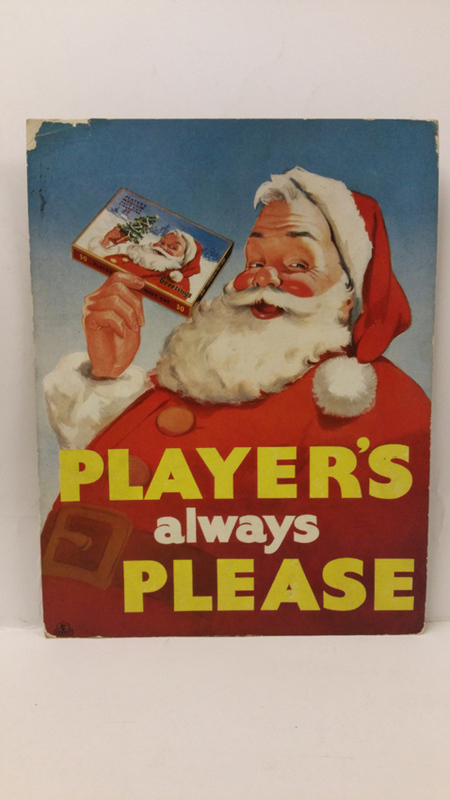 This cardboard showcard for Navy Cut Cigarettes shows Father Christmas with a box of cigarettes that says Greetings. Offered at Tim Davidson Auctions on November 13-14, the piece is from the Player’s archive and had details on a stamp to the back. Appropriately shaped, Bell’s Whisky decanters were once popular collectables within the wider field of Scotch ceramic decanters. 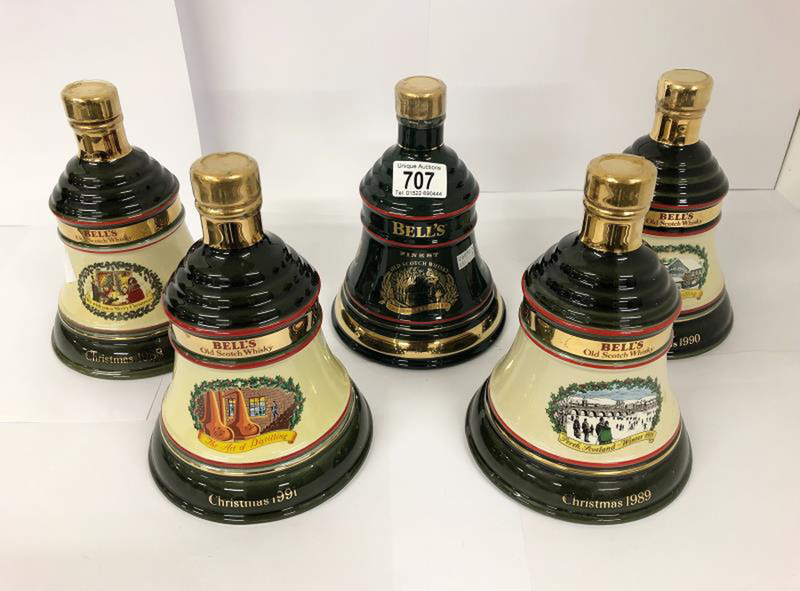 Some of these remain collectors’ items and a group of Christmas-themed bells, made between 1988-1992, go under the hammer a Unique Auctions in Lincoln on December 5. Offered sealed with their contents, the lot of five decanters has an estimate of £30-40.